To play old DOS games on new computer you need install the DOS emulator. 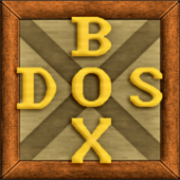 The DOS emulator named DOSBOX. Download DOSBOX and install it. After install the DOSBOX you can play old games. The game drop it to dosbox icon and the game will be running.